You are here: Home New Equipment Increased power and efficiency for our tipper fleet! 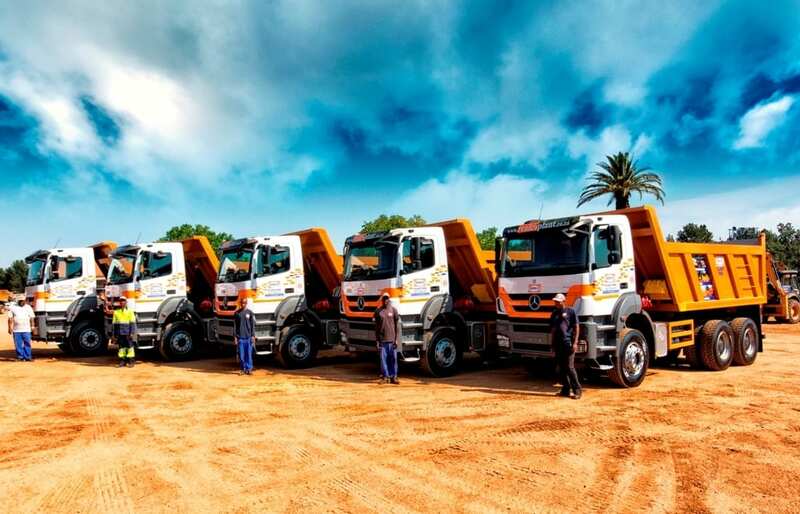 We have enhanced our fleet of tipper trucks again by taking delivery of 5 new Mercedes Benz 33-350 tipper trucks fitted with 12m3 MBC semi-rock bodies. Work being undertaken in conjunction with Renico Earthworks and Civils, in borrow pits and super basements, has necessitated the purchase of these larger tippers in preference to the 26-280 tippers the company normally purchases. Their 330-horse power engines enable greater ease of transportation for the large 12m3 pay-loads which result in these situations. 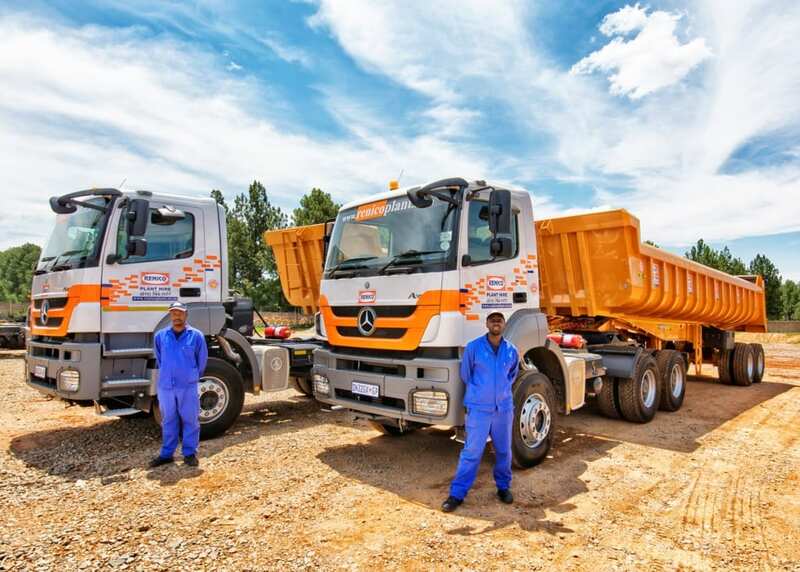 The company has also taken delivery of 2 new Mercedes Benz 33-400 horses fitted with 20m3 Copelyn end-tipper trailers manufactured by Henred Fruehauf SA Truck Bodies, which will supplement the extensive fleet of horses and trailers the company already operates. These units are utilised mainly in quarry type applications (where aggregates are moved to building sites), road building operations and various other applications – including rubble removal. ←We’ve taken delivery of three new AMMANN compaction rollers from ELB!